C H E W I N G T H E F A T – If I can cook it, you can cook it And I'll travel the world to bring it back home to you. My name is Monte Mathews. After a 40 year career in Advertising and with a lifelong interest in food and travel, I decided to put everything together in a blog I call “Chewing the Fat”. To ‘chew the fat’ is a phrase that means ‘to talk or discuss informally, to talk at length about a variety of subjects.’ There’s some debate over what ‘fat’ was being chewed but here I use it to mean food and travel talk that delves a little deeper into what we eat, where it came from and to tell the stories that surround almost every recipe I share. You’ll find everything here from Indian curries to Roast Beef Hash, from appetizers through to dessert. Vietnam is a perfect country for cruising. It hugs a 1,600 mile coastline from the south and Ho Chi Minh City to the north and Hanoi. Its narrowest point is only 31 miles from the South China Sea. And Silver Shadow, the luxury ship that top-of-the-line Silversea Cruises has chosen for its Vietnam itineraries, is its ideal cruise ship. The 382-passenger ship includes butler service in every suite, four restaurants and 6 bars where you never have to pick up the tab for a single drink. 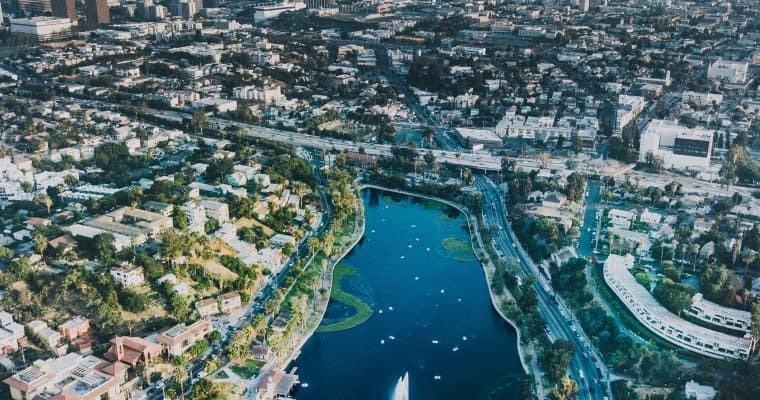 Its size also allows it to dock where larger ships cannot — a huge plus for visits to Ho Chi Minh City (also known as Saigon) which is a two-hour trek for passengers on the mega ships. For culinary travellers, Silver Shadow’s offerings both at sea and ashore are superb, and few places on earth offer more fascinating flavors than Vietnam itself. Vietnamese cuisine is often defined by how it differs from its neighbors. It is fresher and lighter than Thai food, using crisp, raw vegetables, subtle seasonings, raw herbs, and flavor combinations unique to Vietnam. While it shares cooking techniques with Chinese cuisine, Vietnamese food is more textural with fresh, sharp flavors and more tropical and fragrant than its northern neighbor. Rooted at its heart is the salty, fermented fish sauce called nuoc mam, made by layering anchovies in salt. While its southeast Asian neighbors — Cambodia, Thailand, and Myanmar — all use a similar sauce, nuoc mam is the most pungent and may require a little acquired taste. And then there’s rice. Rice is more than a steamed staple at the dinner table. It’s made into wine and vinegar, converted into flour, used to make rice noodles and rice paper for spring rolls, and even cooked overnight before being wrapped in banana leaves for breakfast. Despite the emerging skyscrapers that greet visitors at every port, the country remains largely agricultural. Seventy percent of its land is given over to crops that are making Vietnam a major supplier of rice, fish, fresh fruit, and vegetables for all of Southeast Asia. From your first dinner aboard Silver Shadow, you can choose from offerings that will prepare your palate for what lies ahead. Dishes like Vietnamese-style tomato tartar, tiger prawn curry, vegetable and seitan stir-fry are found on both lunch and dinner menus in the ship’s grand restaurant and in the more casual setting of the grill where poolside lunch is served. The cooking is in the capable hands of Executive Chef Grant Chilcott. An Australian by birth, the chef started cooking at age sixteen. Chef Chilcott has cooked everywhere from five-star hotels to small fine dining establishments. His resume also includes having headed a small team catering for 52 corporate suites at the 2000 Sydney Olympics. He cooked aboard ships for eight years before coming to Silversea in 2013. But in a move that truly boosted his Asian cooking credentials, in 2005, Chef Chilcott moved to Thailand where he now lives when not at sea. Just days into the sailing, the chef hosted a Vietnamese cooking demonstration. Aided by the charming and knowledgeable Karolina Djeric, Head Sommelier aboard Silver Shadow, the pair prepared two Vietnamese dishes. Their prawn and tomato curry was an introduction to shallots, garlic, ginger, chiles, and the first taste of nuoc mam. Next up was a dish called Vietnamese beef tartare. This remake of the French classic used ingredients like toasted rice flour, garlic oil, coriander, fresh mint, bird’s eye chili, and once again, nuoc mam. 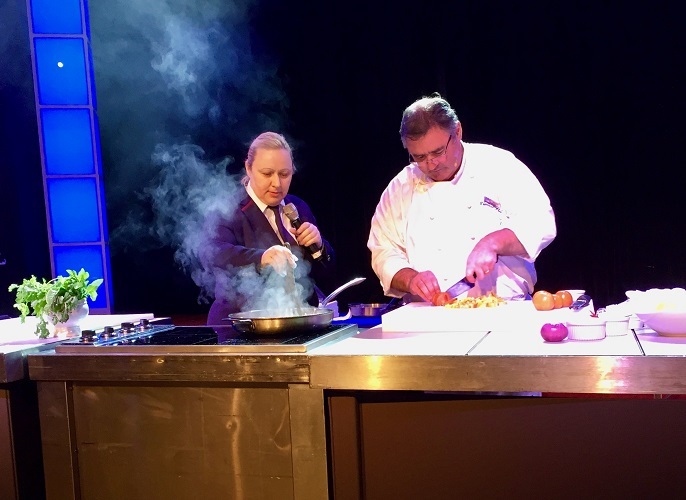 Through the magic of the show kitchen, both dishes came together in a half hour and the audience all left with recipes so they could try the dishes out at home. Ashore, the discoveries continue. In Ho Chi Minh City, one culinary adventure is called “Saigon Street Foods Experience”. One of the most noticeable things about the whole country of Vietnam is how much is eaten in the streets. Food stalls crowd the sidewalks. Tiny tables and chairs surround steaming pots where pho, beef broth served with noodles and herbs, is served. Down the street, open-faced omelettes are being made on small charcoal grills. And everywhere there are food carts making banh mi, the national ‘sandwich’ of Vietnam. But for visitors unaccustomed to eating in the street, the highlight of this particular tour is the restaurant chosen for lunch. Nhà Hàng Ngon Restaurant has brought Vietnam’s street food indoors. According to an expert guide on Silversea, the owner of the restaurant set about finding the best of street food cooks. He then installed them around the perimeter of his restaurant, in clean, open spaces where all diners can first see what’s on offer and the cooks who are making it. Housed in a former French villa, the place is painted canary yellow, the courtyard is surrounded by twinkling lights, and in its center is a lily pond. But it’s the food here that’s the real draw. The menu is full of the staples of Vietnamese cooking including the freshest of spring rolls, minced prawns on bamboo leaves, and grilled crab with a dipping sauce made with fish sauce, garlic, lemon, and a sweet chili kick. A platter of indescribably fresh vegetables, herbs, lettuces, and leaves are placed front and center on the table to be added to pho or omelettes. There’s almost too much to choose here and thankfully the Silversea team made the menu decisions for the group. 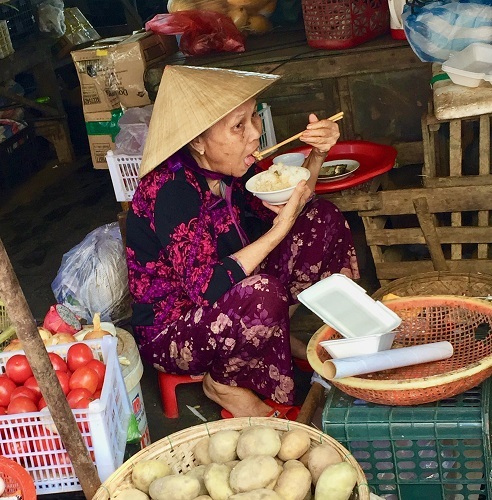 Of all the memorable culinary adventures on Silver Shadow’s itinerary, a cooking class in the town of Hoi An stands out. Hoi An is an ancient Vietnamese trading port dating from the fifteenth century. Now a UNESCO World Heritage site, Hoi An is a fascinating mix of architectural styles – Vietnamese, Japanese, Chinese, and French. It’s also wonderfully walkable and famous for its cooking schools. Originally started as adjuncts to the town’s restaurants, the oldest and most famous of these, Morning Glory, is the one Silver Shadow passengers attend. The cooking class begins with a visit to Hoi An’s Central Market where Morning Glory split the group in two and ushered each into this spice-filled treasure trove of fruits and vegetables,housewares and Vietnamese silk, and souvenirs and local handicrafts. Because of its riverside location, there’s a huge and separate section that sells fish, live crabs, and snails in a packed market space. The market tour ends, and then it’s off to the school itself. for Ms. Vy since she was fourteen years old. For the last ten years, she’s been the principal teacher at the school. Now in her thirties, Ms. Lu peppers her classes with personal history. It’s a complete immersive cooking experience, although its students may be pleased to find much of their mise-en-place already done for them by an attentive kitchen crew. 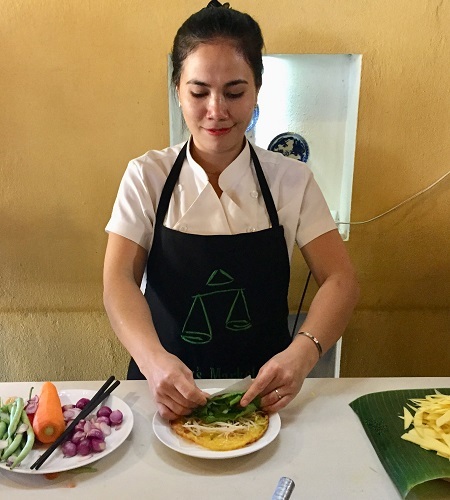 The class, one of six on offer at the school, features the hands-on preparation of four Vietnamese classics: banh xeo, an open-faced omelette filled with pork shoulder and baby shrimp and nicknamed the “Happy Pancake”. The next preparation, Vietnamese barbecue chicken with lime leaves requires a thirty-minute marinade and the use of no less than twelve ingredients plus the chicken. Fortunately, the marinade ingredients had all been divvied up by Ms. Lu’s helpers. While the chicken marinated, the class moved on to work with banh tran, rice paper wrappers stuffed with both pork and prawns and an astonishing array of fresh herbs — anise basil, mint, Vietnamese mint, butter lettuce, cilantro, bean sprouts, chrysanthemum leaves and, in a nod to the name of the school, shredded Morning Glory stems. A sweet and sour dipping sauce rounded out the dish. The final preparation was a mango and prawn salad which allowed the class to use the Vietnamese ‘peeler’, a kind of one-handed mandolin which was included in every takeaway envelope along with the recipes. The chicken reappeared to be speared on wooden skewers, and the meal was devoured by Silver Shadow’s happy foodies. Silver Shadow continued its coastal voyage, and while aboard, the daily menus continued to be peppered with specialties like Vietnamese flavored duck breast (vit nau cam) and tomato egg drop soup (canh ca chua trung). The nine-day voyage ended in Hong Kong, but the passengers’ new passion for Vietnamese food undoubtedly continued on from there. Attention Trader Joe’s Shoppers: Our top 6 favorite discoveries and one we thought was a dud.